Liver was one of the pureed foods that many mothers fed their babies when I was growing up. I am sure that some babies rebelled and spit it out, but I loved it. As I grew older, my love for liver did not diminish. Although we did not have beef liver very often, the roasting hens that were brought home always contained a little package of liver and other unusual things. My mother would fix those parts as a snack for us and we all participated in devouring them. My dad and I probably enjoyed the organ meats more than anyone else and we did not feel the least bit guilty taking the lion's share. While snacking on chicken livers was fun, real satisfaction came when we actually had Bacon, Liver and Onions for dinner. The smell of the fried bacon mingled with onion was pure olfactory heaven. 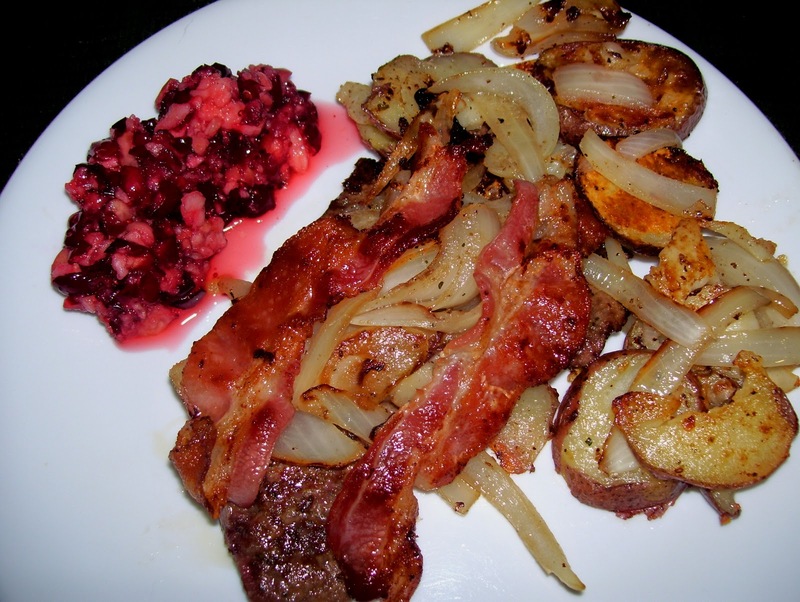 Bacon, Liver and Onions is a very easy meal to fix. I like liver well-cooked and I serve the meal with fried potatoes and a green vegetable or a piece of fruit. (The health benefits of liver are outlined in the following website: http://whfoods.org/ go to the home-page search box and type in the word liver). Because Bacon, Liver and Onions uses the bacon fat as well as the actual bacon, I limit my indulgence of this meal to two times a year. Heat pan or griddle to med-hot and fry bacon until crisp. Save bacon fat. Remove bacon and drain on paper towels. Add 1-2 T bacon fat to pan or griddle; add onion slices and cook until slightly translucent and tender. Remove and keep warm. Put flour in a dish or pan and season with salt and pepper to taste. Mix evenly. Dredge both sides of liver in seasoned flour. Add 1-2 T bacon fat to pan or griddle and when hot, fry liver until well-browned. Turn liver and fry second side. Add more oil if necessary. Check to see if liver is done by cutting into it. Remove to serving plates and top with onions and bacon.